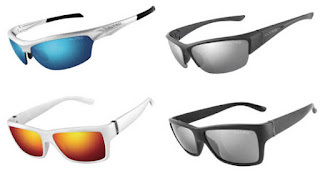 Century Cycles Blog: Spring Sale Hot Deal of the Day: 50% OFF all Altro Sunglasses! Spring Sale Hot Deal of the Day: 50% OFF all Altro Sunglasses! Get Your Cycling Season On Track with our Spring Sale Hot Deal of the Day! Take 50% OFF all sunglasses from Altro! This high-quality eyewear provides 100% protection from UVA/UVB rays, and looks great both on and off the bike! Regularly $29.99-$59.99, available in our Medina and Rocky River stores only!